Snorkeling is a unique way to take in the beauty of Florida’s waters. It involves observing the underwater sea life with the aid of a diving mask, snorkel and often fins. Unlike scuba diving, which takes place in deeper water, snorkeling is usually done in shallow waters and usually requires minimal physical effort. Warm, calm seas – like those off the coast of Fort Myers Beach, Captiva, Sanibel and other areas of Southwest Florida – are ideal for snorkeling. Snorkeling accidents, however, have been reported in incidents throughout the Sunshine State in recent years. Such incidents can result in serious, lasting injuries and even death. 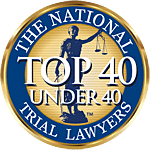 The Associates and Bruce L. Scheiner, Attorneys for the Injured, are committed to helping victims of snorkeling accidents – vacationers, residents and snowbirds – to explore their legal options. Our Fort Myers injury lawyers know that because the snorkeling industry welcomes people in a wide range of ages and abilities, they recognize and abide certain accepted industry standards. Companies must work to avoid snorkeling accidents by determining the experience of every patron and exercising both situational awareness and foreseeability contingencies. They have to make sure the site of the snorkeling activity is relatively safe and warn patron of specific known dangers of that area. They also need to make sure equipment is in good working order, that patrons are properly trained so as to be reasonably safe and to cancel the operation if conditions are hazardous. If you are involved in a Fort Myers snorkeling accident, you may be entitled to compensation for your medical bills, time and wages lost and more. We can help. Although snorkeling is viewed as generally less risky than diving, which takes place at greater depths and requires more equipment, it is nonetheless potentially perilous. A 58-year-old Texas woman who died off the coast of Key Largo while snorkeling at John Pennekamp State Park. She reportedly suffered a medical issue, returned to the boat, immediately lost consciousness and died at the hospital a short time later. A 44-year-old man who died while snorkeling off the coast of Sarasota, searching for shark teeth with a female companion. He reportedly drowned. A 44-year-old woman drowned while snorkeling with her husband off the coast of Siesta Key. A 72-year-old from Texas, an experienced diver, was snorkeling with a friend as part of an excursion in Key West when he fell unconscious. He was brought back to the boat and later died. A 72-year-old from Illinois was snorkeling in Dry Tortugas when he fell unconscious and later died. A 64-year-old woman became unresponsive while in the water during a snorkeling trip off Key Largo at Molasses Reef. She was pulled back onto the boat, but later died at the hospital. Although it’s not clear whether negligence was involved in any of these particular cases, we know all too often that it is. Snorkeling companies fail to abide standard procedures and have been known to cut corners to save costs – putting customers in peril. While snorkeling is touted as a leisure activity, numerous rescues and drownings occur in waist-deep water. Part of the problem for new snorkelers is that fins can be unwieldy, particularly because they make it difficult for swimmers to stand up in shallow water. The extended foot length caused by the fin makes it hard for one to get their feet underneath them when they are floating face-down. If a swimmer takes in a gulp of water and tries to stand up, they can quickly find themselves in a difficult situation. Many recorded snorkeling deaths take place in less than three feet of water. Pre-existing conditions – especially cardiac conditions – are known to be associated with snorkeling fatalities. But snorkeling companies know this, and need to make sure they warn patrons about this fact and also have procedures in place to quickly recognize problems and to get sufferers out of the water and to medical attention as quickly as possible. The Florida Fish & Wildlife Conservation Commission (FWC) requires snorkelers and divers to display a “diver down” flag whenever they are in the water. The flag is a red square with a diagonal white stripe that extends from the top left to the bottom right, and contains a stiffener or wire to keep the flag extended so it can be clearly seen, and it must be displayed from the boat’s highest point. Boaters who see this signal are to keep a distance of at least 300 feet in open water and 100 feet when in rivers, inlets and navigation channels. Similarly, snorkelers and divers have to try to stay within that range of the flag. In addition to this rule, the FWC has set forth policy for best practices when it comes to snorkeling or skin diving for law enforcement and other personnel, which can be used as a guide for other snorkelers and companies that offer these adventures. Snorkeling in the water when there is less than 3 feet of visibility. Additional precautions include notifying the regional communications center of exact GPS coordinates, ensuring the vessel is properly anchored before getting in the water and making sure the engine/ engines are turned off anytime someone is in the water. Vessels must be properly equipped so that divers/ snorkelers can safely get back on. These are widely recognized as best practices not just for law enforcement, but all snorkeling activity organizers. If you have suffered harm or lost a loved one in a Florida snorkeling accident, our Fort Myers injury lawyers will help you determine whether you have grounds to seek civil damages.